Title: How to Build Intelligent Collectives for Prediction Market Tasks. This talk presents a general framework for building intelligent collectives for prediction market tasks. It will be shown that two aspects play an important role in this process: diversity and independency. Our findings qualify the positive impact of diversity and independence on collective performance. Particularly, collectives with higher diversity and independence levels will lead to better collective accuracy. Subsequently, expanding the collective cardinality that causes an increase in its diversity will also be positively associated with the collective performance. With some restrictions, the hypothesis "The more diverse the collective, the higher the collective performance" is formally proved. Ngoc Thanh Nguyen is a full professor of Wroclaw University of Science and Technology, and the Head of Information Systems Department in the Faculty of Computer Science and Management. His scientific interests consist of collective intelligence, knowledge integration methods, inconsistent knowledge processing, and multi-agent systems. He has edited more than 30 special issues in international journals, 52 books and 35 conference proceedings. He is the author or co-author of 5 monographs and more than 350 journal papers and conference papers. Prof. Nguyen serves as Editor-in-Chief of International Journal of Information and Telecommunication (Taylor&Francis), Transactions on Computational Collective Intelligence (Springer) and Vietnam Journal of Computer Science (Springer). He is also an Associate Editor of several prestigious international journals. He was a General Chair or Program Chair of more than 40 international conferences. He serves as an expert of National Center of Research and Development and European Commission in evaluating research projects in several programs like Marie Sklodowska-Curie Individual Fellowships, FET and EUREKA. He has given 20 plenary and keynote speeches for international conferences, and more than 40 invited lectures in many countries. In 2009 prof. Nguyen was granted of title Distinguished Scientist of ACM. He was also a Distinguished Visitor of IEEE and a Distinguished Speaker of ACM. He serves as the Chair of IEEE SMC Technical Committee on Computational Collective Intelligence. Title: Cooperative Wireless Relay Networks. This talk presents principles involved in designing multiple-input-multiple-output (MIMO) wireless relay networks with different levels of coordination between communicating terminals in ad hoc networks. In particular, cooperative transmission strategies are contrasted with the approaches where terminals transmit independently resulting in high levels of interference. A unifying framework of power control and signal alignment is adopted to demonstrate better power and bandwidth efficiency in cooperative communication systems with compute-and-forward strategies, that exploits interference to obtain significantly higher rates between users in a network. Geometric concepts and abstractions are used to establish the energy-efficient relay choices and to design distributed signal coding to combat fading in networks with randomly distributed nodes such as in Wireless Sensor Networks (WSNs). The benefits of distributed network coding reducing the number of transmissions are examined. While cooperation improves energy efficiency in wireless networks, it introduces a protocol overhead. The balancing of the cooperative gain (in terms of energy and bandwidth efficiency) and the cooperation overhead is also presented in this talk. 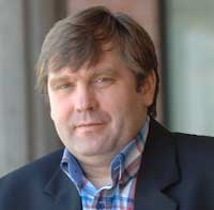 Dr. Jacek Ilow is a Professor of Electrical and Computer Engineering (ECE) at Dalhousie University, Halifax, Canada. His research interests lie in the areas of wireless networks design and emerging Internetworking technologies. Dr. Ilow joined Dalhousie as an Assistant Professor in 1997, and since 2009 is a Full Professor with tenure. He received M.A.Sc. and Ph.D. degrees in ECE from the University of Toronto, Canada, in 1992 and 1996, respectively. While in Toronto, he was involved with Network Engineering Program. In 1996, Dr. Ilow held an NSERC postdoctoral fellowship at DREO, Ontario. He is the author of more than 120 journal and conference papers. He collaborates with industrial partners and is active in the IEEE. Between 2002 and 2011, he was acting in various roles as part of the steering committee for the Communication Networks and Services Research (CNSR) conferences. Dr. Ilow teaches undergraduate and graduate high-level networking courses with hands-on lab-oriented training. He was the technical architect at Dalhousie behind establishment of the Advanced Internetworking Laboratory.